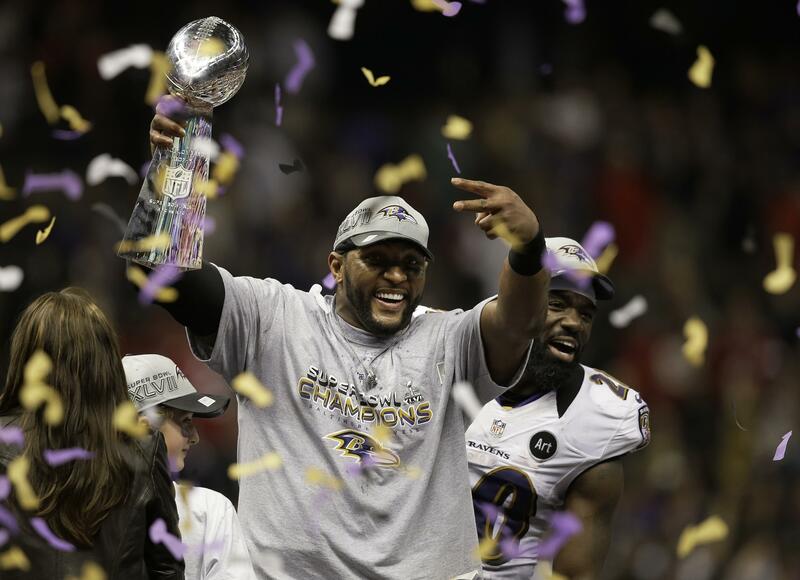 Wed., Aug. 1, 2018, 9:51 a.m.
CANTON, Ohio – Ray Lewis and Brian Urlacher, two of the NFL’s greatest linebackers, enter the Pro Football Hall of Fame this week. When their teams meet in Thursday night’s preseason opener, the game could very well honor them by being a defensive battle. On one hand, the Chicago Bears are installing a new offense under first-year coach Matt Nagy. On the other side, few if any of the Baltimore Ravens’ starters at the offensive skill positions are likely to get much action. So if this winds up 10-9 or something similar, well, the smiles on the faces of Lewis and Urlacher might get a bit broader. Nagy has a second-year quarterback, Mitchell Trubisky, who will be taking his first major steps running the new scheme Nagy brought from Kansas City. He seems unconcerned that the second overall pick in the 2017 draft will be overmatched – even though Trubisky has been an interception machine in practices. As for the Ravens, don’t look for Joe Flacco in this one. The Hall of Fame game is an extra exhibition outing for the participants, and provides an opportunity for Baltimore coach John Harbaugh and his staff to look at first-round draft pick Lamar Jackson and veteran Robert Griffin III , who is attempting a comeback after not playing last year. The extra preseason contest usually gives low draftees, non-draftees and guys trying to catch on an additional chance to show their stuff. This isn’t much different from the final exhibition game, when starters generally sit and others get a last chance to make a roster. Both teams have to find answers regarding their blockers. Baltimore has one of the best in the league in right guard Marshal Yanda, but he’s coming off an injury-ravaged 2017 in which he made it into two games. Considering how stationary Flacco can be, Baltimore needs to solve the offensive line issues quickly if he is its starter. Trubisky at least can move around, and there’s no question he will be the Bears’ first-stringer. Guard Kyle Long’s assortment of health issues doesn’t help in the quest to solidify the line. This is sort of a homecoming for Trubisky. He played at North Carolina but is from this area (Mentor, Ohio). With the NFL’s new policy on protocol during the national anthem in limbo as both the league and union discuss it, nothing really has changed from last season. Demonstrations by the players aimed toward awareness of social injustice could occur Thursday night. With legal betting on NFL games in some states, there actually is a line on this game: Baltimore by 2 1/2 points. How the oddsmakers got there is anyone’s guess considering there are 90 players on each roster and many of them will get on the field. AP Sports Writer David Ginsburg and freelance writer Gene Chamberlain contributed to this report. Published: Aug. 1, 2018, 9:51 a.m.